Data Thirst provides a range of data consultancy services aimed at helping our customers get the most out of their data. Our sole focus is to ensure that our solutions provide a return on the investment by driving business value and allowing your business to gain new insights. At the heart of any data platform is a need to collate and curate data into central location that is accessible, but secure, and flexible enough to support the range of scenarios you need to throw at it. 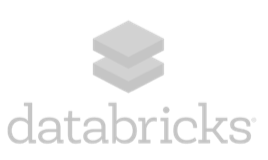 Using Databricks, HDInsight or Spark to perform large scale, high performant ETL’s. Be it with Streaming Data or with large volumes of logged text data we help design efficient & reliable pipelines that keep on scaling as your load does. Multi-Terabyte data processing pipelines to Data Lakes and Warehouses, including complex data types such as images, geospatial and JSON. Live Steaming – high-volume pipelines to provide real time transformations to your BI tool of choice, or to feed Machine Learning algorithms for decision support. Integrated testing - before Apache Spark this was near impossible to do on traditional ETL toolsets. Now it is possible to use functional programming techniques allowing for code validation and thus reliable pipelines. We can also help upskill existing teams from the more traditional relational world to re-use their existing SQL skills in a Big Data world. Moving from traditional warehouses to a Modern Data Warehouse architecture is complex but rewarding problem. Our experience with Data Lakes, Ingestion tooling and various BI products enables us to bring working best practices and principles to your data pipelines. From our data engineering expertise to our data modelling knowledge in many business sectors we help you deliver a fast, robust platform. Whether you have a preference for SQL DW, Snowflake, Data Lake, or simply do not know know where to start, we provide the experience and vendor support to implement efficiently and make the right choices. We have extensive experience with SQL Server for On-Premise and Cloud solutions. Data Thirst can help with architecture or performance (health check) scenarios.